The Florida Baptist Convention’s (FBC) Next Generation Ministry wrapped up another State Collegiate Conference. Every year, students make the annual trip to Lake Yale Conference Center for State Collegiate from all across Florida. “I came my first time four years ago when I moved to Florida to become a college pastor,” said Ricky Bailey, the Miami and FIU Baptist Collegiate Ministry (BCM) director. “I was blown away when I arrived. “The fact that FBC has a conference for college students that is done this well and is so well attended is crazy to believe. We never had anything like this in my home state.” Bailey said he and his college group have never missed one after his first year of attending. 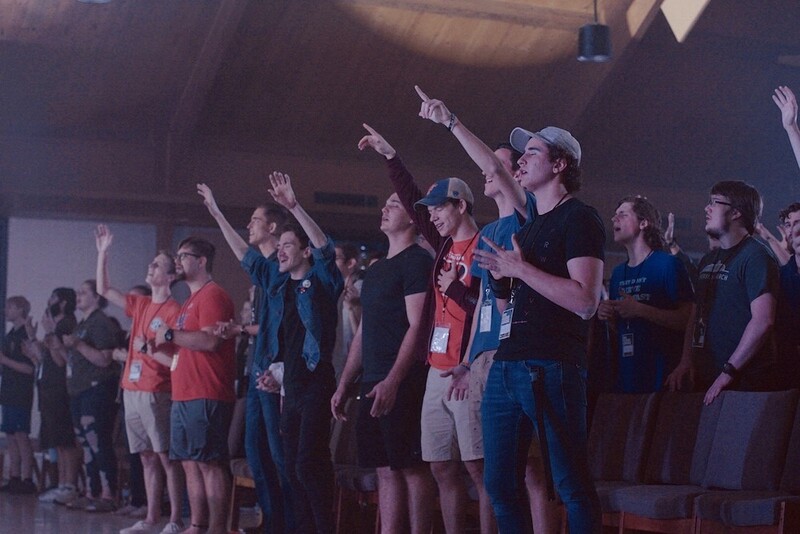 Florida Baptist’s State Collegiate Conference is an annual event that brings together hundreds of college students from the state’s BCMs and local churches for the purpose of equipping students to take the Gospel back to their campus. 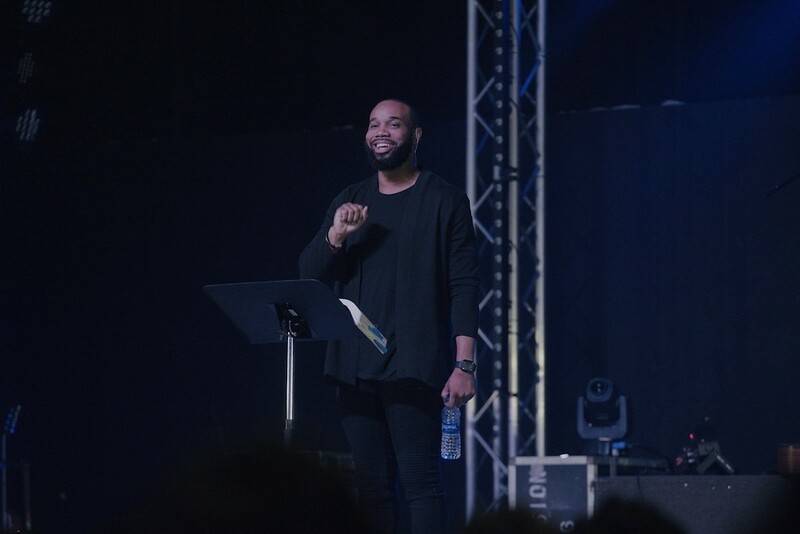 Muche Ukegbu challenged students to share the Gospel during State Collegiate Conference. Engaging Culture with the Gospel was the theme for this year’s conference. Muche Ukegbu, lead pastor at The Brook church in Miami, was the featured speaker this year. Taking Acts 17 and other scriptures as his cue, he spoke about the importance of listening to culture as Paul did the Athenians; not so students can be relevant for the sake of relevance, but so they can know how best to respond to culture’s story with the story of the Gospel. “[The] sermons helped me develop a biblical framework for sharing the gospel with people from different cultures,” University of Miami freshman, Isaac Attuah shared. Ascension Worship led the way in music over the weekend and in between the main sessions, there were breakouts for the students to enjoy. The breakouts were led by leaders from Florida Baptist local churches and covered everything from apologetics, missions, spiritual warfare, to impacting lostness on campus. As the cars and buses pulled out of Lake Yale on Sunday afternoon, they were filled with students chattering about all that God had done over the weekend, but more importantly, the vehicles were filled with students excited to go back to their campus and engage culture with the Gospel of our Lord Jesus Christ. 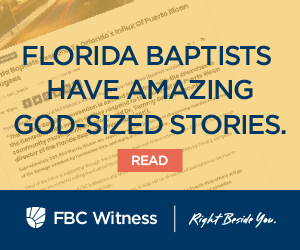 Follow us on Facebook and Twitter @floridabaptists so you can hear more Florida Baptist stories and don’t miss out on other exciting events like State Collegiate coming up soon! Ricky serves Florida Baptist as the Miami BCM director. He is a writer and speaker with an urgent passion to help others live obedient lives before God. When he is not working, he spends his time reading, long boarding, and watching The Office with Stephanie, the woman he somehow convinced to marry him.